Do you want to get more involved as an instructor? Looking for a place where your voice will be heard? Our instructors are the heart of our activity programmes. You main role on the beach will be leading Windsurf sessions but you will also get the opportunity to assist and lead Sailing, Kayaking and Stand Up Paddle boarding; as well as helping deliver all aspects of the Voyager Adventure programme. You'll spend a lot of time on the Med, both personal training and leading activities, and you'll also get to see the region by accompanying groups on their excursions. This is an exciting overseas opportunity for adventure professionals with a company dedicated to providing safe, high quality experiences in an active environment. 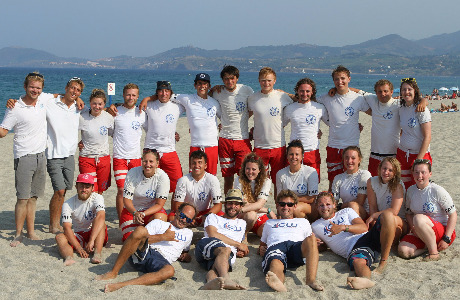 We are looking for qualified windsurf instructors with some experience. 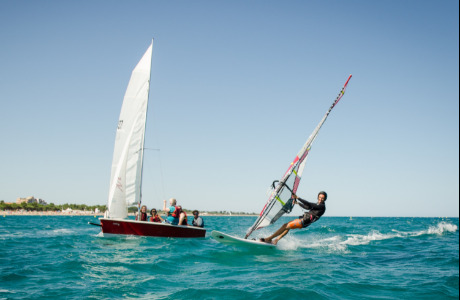 You will participate in full pre-season training, but we'd expect you to be competent to lead a decent windsurf session without prompting. As with all seasonal jobs there are some long and tiring days, but we're based at fantastic locations and encourage you to make the most of where you are. Want to learn a new discipline? Our activity equipment is available for staff use and we reserve several staff fun-day's throughout the season, making the most of what the region has to offer. In past seasons our teams have been rafting, wake boarding and canyoning. Where will we go next time? Resort teams are circa 12 staff. You'll be expected to show a high standard of professionalism and a solid work ethic, but also know when it's time to have fun. You will need to have a minimum of RYA Start Windsurf Instructor.